Anne Knowles from the Cape Cod Commission, Jeremy Clark from NorthSouth GIS, and Carrie Tropasso and Michael Bialousz from the Pennsylvania Department of Conservation and Natural Resources talk about the creative process that went into developing their mapping apps, which took top honors in the competition. Combine maps, images, videos, and narrative text to tell longer, more detailed stories using the new Esri Story Map Journal app. Esri's Rupert Essinger shows you how. Read the tip. Leon County, Florida, decided to tap the Esri Story Map Journal app to tell how money generated by a penny sales tax will be spent in the future. Read the article. Read more about the app. Apps designed to protect coastal areas from erosion and steer evacuees to safety won the Esri Global Disaster Resilience App Challenge. Winners received a $10,000 prize. Read the article. Two University of Wisconsin students used Esri ArcGIS to map one of the state's oldest cemeteries. Ultimately, people will use an online database to find their ancestors' graves. Read the article. Esri is compiling a human geography database of demographics and statistics for every nation and mapping the data using the dasymetric mapping technique. Read the blog. Public Health England used Esri technology to map the districts in Guinea, Sierra Leone, and Liberia affected and unaffected by Ebola. View the Story Map app. Share the view outside your window with Esri and then view your photo and others using a new crowdsourced Story Map from Esri. Contribute a photograph in honor of GIS Day. Casey McGeever of AccuWeather talks about how GIS and weather go together. Watch the video. Use real Boulder County, Colorado, spatial and demographic data in ArcGIS Online to identify areas at highest risk for flooding and landslides. Mud Is Thicker Than Water is a new project at Esri's Learn ArcGIS website. Start working on this project today. The ArcGIS Pro prerelease is available. Use Pro to build projects; visualize, analyze, and manage your data; and share your work. Read more and download ArcGIS Pro. Watch the video. The ArcGIS Online update includes a web application builder (in beta), new analysis tools, and the ArcGIS Open Data app. Try the GeoForm application template for form-based feature editing. Read the blog. 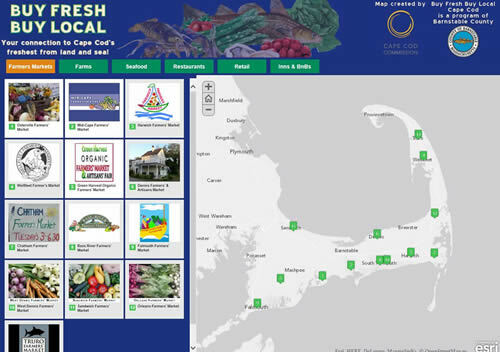 Deciding what kind of GIS content to share and how to share it can be a challenge. Three tips will help you craft a content-sharing strategy for your ArcGIS Online organization. Read the tip. Shot down over Germany during World War II, Royal Air Force navigator/air observer James Douglas Skinner parachuted to safety. But that's when his real troubles began. 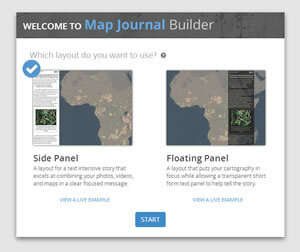 View the Story Map Journal app. Wilderness conservation maps are on display at the Smithsonian Institution National Museum of Natural History in honor of the 1964 Wilderness Act. Read the article. Documentation has been updated for the latest release of Data Appliance for ArcGIS, a solution that provides similar ArcGIS Online basemap content behind your firewall. Learn more. Order Data Appliance for ArcGIS. John Henry Cartwright left Australia to fight in the Gallipoli campaign in World War I. Maps, film clips, photos, historical documents, and text bring the history of the battle and one man's role in it to life. View the Story Map Journal app. Compare today's maps of cities like Dallas, El Paso, and Austin with those from the 1800s and early 1900s using the Esri ArcGIS powered Texas Hidden History map viewer. View the historic maps.